If you have an 8 Life Path you will probably select a partner you can guide and control at least to some extent. That doesn't mean you should look for a demure doormat, but recognize you don't compromise well and you like to be in charge. For that reason, both the cooperative, diplomatic 2 and the caring, sacrificing 6 tend to be good choices, while the aggressive, independent 1 will fight you every inch of the way. The freedom-loving 5 is also not the best choice, nor is the creative, artistic, irresponsible 3. As you can see, your choices are limited simply because you insist on being in charge. 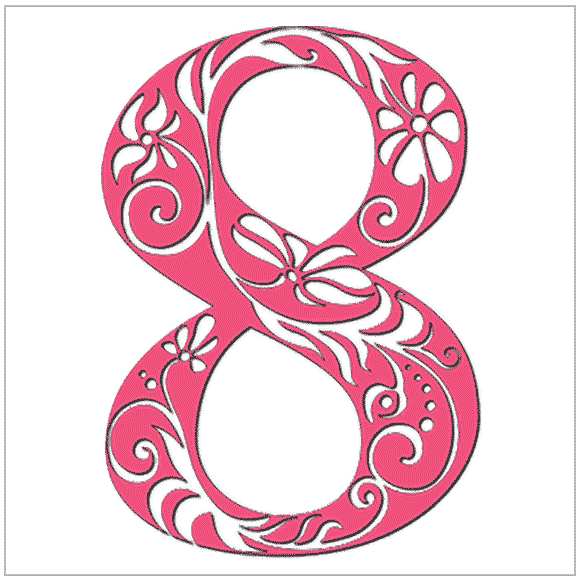 An interesting aspect of the 8 is its ability to balance the material and spiritual worlds, which sounds like it should work well with a 7, but the 7 may only recognize your material side and for that reason, be uninterested. Otherwise, based on the premise that opposites attract, it might actually be a pretty good match. This is not because you can control it (it controls itself) but because you are compatible in so many other ways. You are both grounded, methodical, logic-driven, practical, disciplined and goal-oriented. In fact, while a romantic relationship between a 4 and an 8 works well because you have so much in common, a business or work relationship works even better since you also supplement each other - you see the larger picture, while no detail escapes the 4.